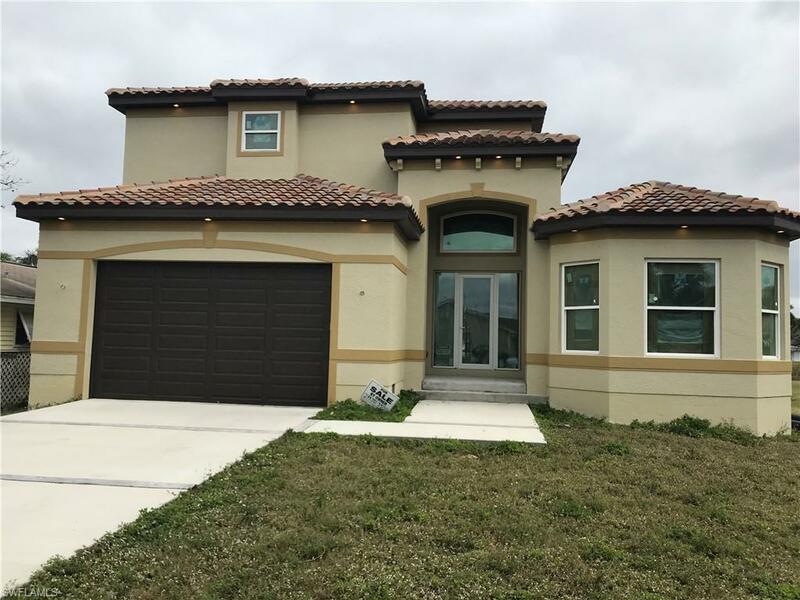 Gulf Access, New Construction Home, In Fort Myers Shores. Home is a custom builders spec home with major upgrades and ready for buyers customizing, finishing touches. Home has many features that include: Energy efficiency: latest insulation technology, Wind mitigation, Central vacuum system, Outdoor kitchen, Paver accented drive way in entry way, Gas appliance, Elevation exceeds latest standards, Insulated 160 mph windows, Double wide depth canal water way, Just a few houses to River. Minutes to downtown and a few short minutes to Boathouse 31. Home to be completed within a couple of short months. Don't miss out on this Beautiful 2-story home with incredible water access. Pool and Dock Packages are available.